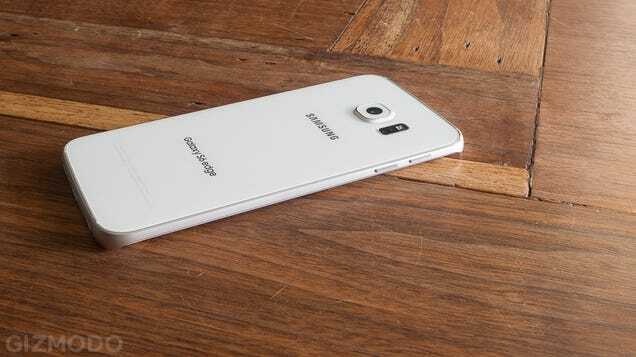 The S6 Edge is the “whoa, that’s weird looking” variant to the more straight-laced Galaxy S6. You pay more, and in return you get a curved phone. Though it’s the same size, same resolution, the screen just rolls right over the edge to meet a dramatically reduced profile. The only OK feature, exclusive to the S6 Edge, is where you can swipe from the edge of the screen to pull up a very iOS-like frosted glass window with quick access to your favourite contacts. That’s cool and everything, but there are apps that already do that but even better (like this one) and you don’t really need a curved edge to use it. The only thing that’s actually unique to the Edge is when a friend calls—if you’ve assigned them to your favourite contacts—the edges will glow a certain colour so you can see who’s calling, even if your phone is face down on a surface. If you’re busy, you can double tap on the heartrate sensor to send a pre-selected text. Neat, but a pretty limited use case. I had the feature active for a week and never used it once. The Edge does have one thing over your run-of-the-mill S6. It’s a conversation starter. That’s really the only thing you’re buying for the extra £50—it’s cosmetics, not convenience. I guess that makes sense. 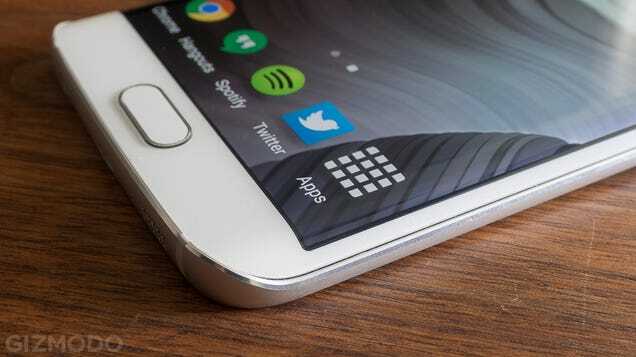 Samsung’s Note has always been seen as the productive one, and the S series the pretty one. If the edges on the S6 Edge are just there to look good, that’s not too surprising. A couple times over the past week, I pulled the S6 Edge out of my pocket in certain social situations and counted the seconds until someone said “Oooohh, what is that?” It never failed. The Edge looks great, and so far it doesn’t seem even a teeny bit worse than the S6 in terms of performance and battery life. The ergonomic downgrade, the lack of useful software, and £50 premium just doesn’t make sense for me, and I suspect most people will feel the same.